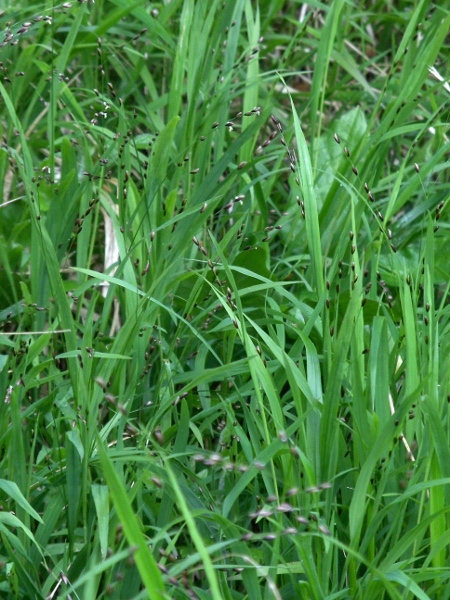 Melica uniflora is an understorey grass of shady woodlands. 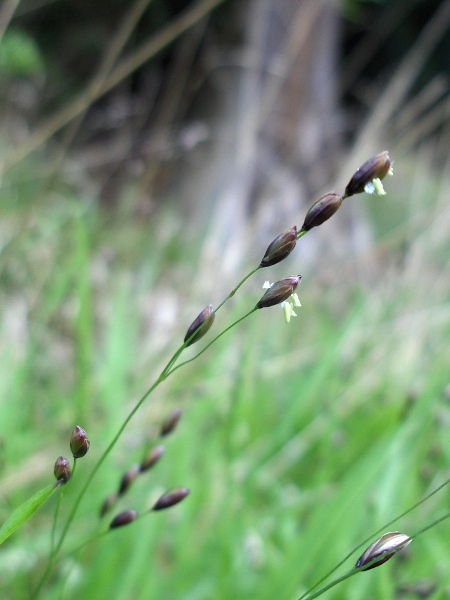 Each spikelet of Melica uniflora has only one fertile flower. 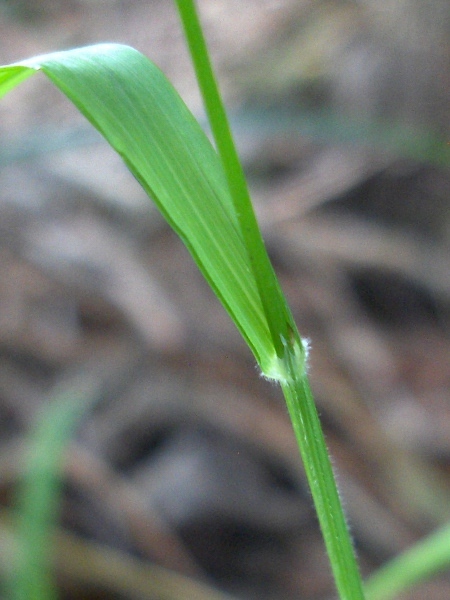 The leaf sheaths of Melica uniflora have a pointed ‘bristle’ on the side opposite the ligule, which is lacking in other grasses, including Melica nutans.